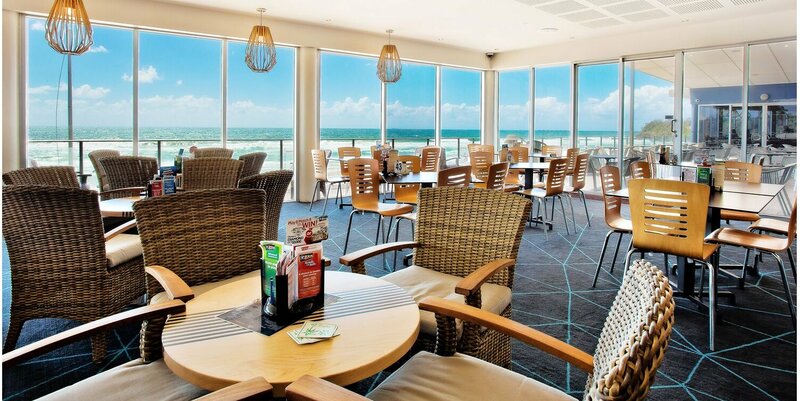 We offer to members and visitors our Beachfront Restaurant featuring a Wood Fired Char Grill, Café, Great Bar & Wine List, A modern Gaming Room featuring 48 pokies, TAB & Sports betting, Keno & Bottle Shop. Join today for only $10 per year and receive all the fantastic benefits such as – Discounts on food & drinks, Birthday Voucher with up to $20 worth of vouchers, Loyalty points for playing the poker machines, Access to our great Bottle Shop Specials, Easy entry into the club – Just flash your card, access to online promotions as well as Reciprocal rights to most Clubs in Queensland. So come along and visit us today to enjoy the best views and service the Sunshine Coast has to offer. Our Sports Bar is one of the best on the Sunshine Coast! From the moment you walk in, you will be made to feel at home. Coolum Surf Clubs’ main bar is centrally located on the 1st floor of the club. Our efficient and friendly staff will provide you with drink service from our fully stocked bar with 15 assorted beers, ciders and stouts on tap and a wide range of fine wines and cocktails. It is the perfect venue to relax, enjoy a drink and take in one of the most spectacular ocean views on the Sunshine Coast. We also have a convenient Bottle Shop located at reception. Our gaming room, situated off the main bar area within easy access to all areas of our club, offers members and guests 48 of the latest fantastic gaming machines. Members can earn club points by using their membership card every time they play. These points can be redeemed for drinks at the bar, from our restaurant or to purchase merchandise. We have also introduced the all NEW MyCash for members which is a system that offers the convenience of a ‘Gaming Account’ that allows patrons to move the funds around a gaming room easily and securely with pin protection. Keno is a fun, easy-to-play numbers game where you can win over $1,000,000 for just $1! All you need to do is match the numbers on the Keno TV screen with the numbers on your ticket for each game. The more numbers you match, the more you could win! Horse racing is still the most popular betting sport around. The demand for Australian horse racing betting is very high and TAB offers a huge range of betting options for the horse racing fanatic including fixed odds betting to take the guess work out of it. We also feature GiddyUp and Sure Pick TV’s that provide betting assistance to help you back the next winner. Sports betting is wagering on the outcome of a sporting event. While supporting your favourite team is already thrilling enough, sports betting lets you add even more suspense to the game. Whether it’s backing your team or favourite player, sports betting is a fun and exciting way to take your love of sports to the next level. 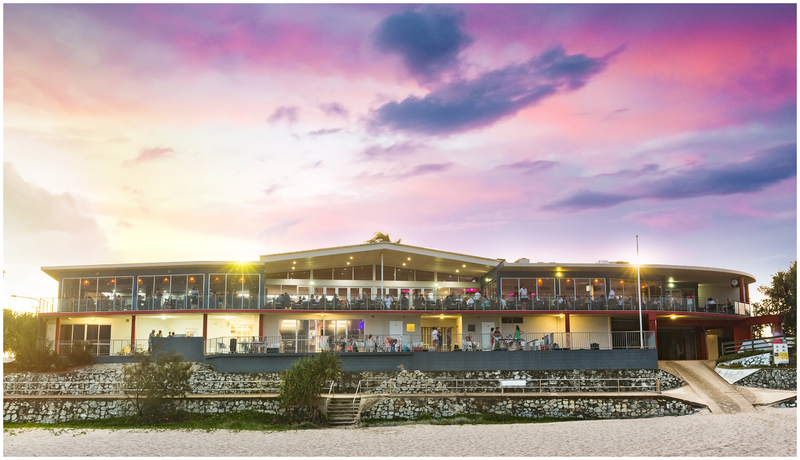 The Coolum Beach Surf Club is located at the southern end of the Coolum Beach Esplanade and enjoys fantastic 180 degree views of the Pacific Ocean. As you walk into the Club you are greeted by one of our friendly reception staff who can help you sign into the club or join as a member. We also have some fantastic clothing and merchandise for sale as well as our convenient Bottle Shop available to members and reciprocal members. As you walk up the stairs you will notice some wonderful history pieces about our club and then get upstairs to enjoy our fabulous views. We also have a Lift conveniently located in reception to help you up to the first floor. Our facilities include our Beachfront Restaurant, Café, Expansive Deck, Main Bar with an extensive wine list, Gaming Room with 48 fun machines, Keno & TAB facilities. We have function rooms with the best views on the coast. Why not inquire today for a wedding, party or conference and see how competitive our prices are whilst you enjoy the best views the coast has to offer. Become a member today for just $10 per year! Social Membership for the Coolum Surf Club. How much does it cost? $10.00 for 12 months. What do you get? Possible savings and benefits of hundreds of dollars!! If you require any additional information on Entry Rules or our House Policy, see reception.